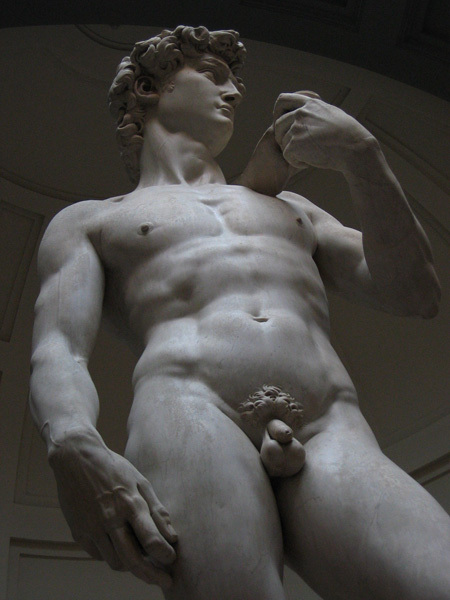 Andrys Basten | all galleries >> ITALY Photos - Tuscany photos - 2006 (partial) >> Florence photos, #1-b - Michelangelo's DAVID, Ghiberti, Fra Angelico > Michelangelo's David: amazingly life-like. as it was considered too thin for anything but a delicate subject. Photo was taken at almost max zoom-lens setting, making it seem closer. notifications of comments, and I forgot to check for any. beautiful this is so kool that u can do this!! !